Dogs taken to a popular walking area in Culloden in Inverness have later become unwell, police have said. A substance found near Culloden Avenue, known locally as Gruffalo Walk, on Wednesday is being analysed as part of a police investigation. 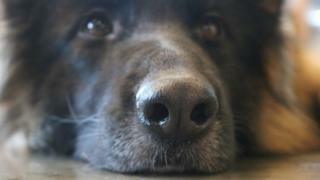 The number of dogs that have fallen ill was understood to be less than 10. Police said people should not be discouraged from walking dogs in the area, but wanted to make them aware of the recent incidents. PC Bradley O'Neill said: "I would like to reassure people that we are carrying out thorough inquiries to establish the full circumstances of these reports. "If you believe your pet may have fallen ill then seek advice from your vet in the first instance."